Burning the camera lens. illustration on black background. 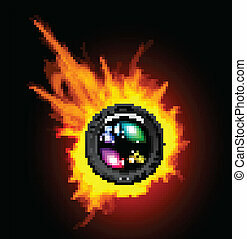 Burning the camera lens. EPS 10 with transparency. 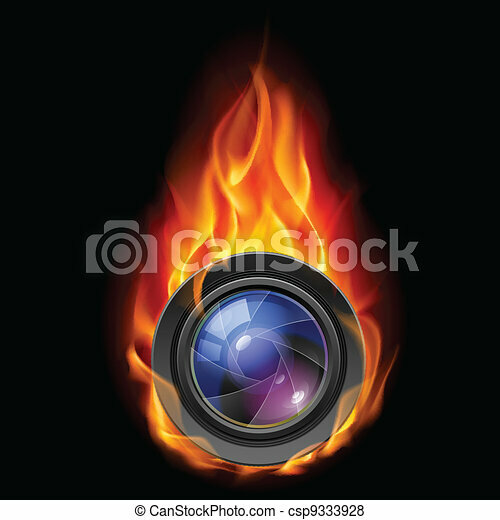 Logo for the photographer with a picture of a flaming camera.